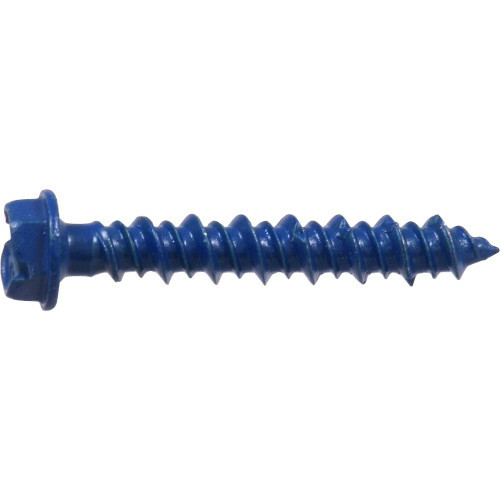 Manufactured for top performance in masonry-based applications, concrete screw anchors are designed to fasten objects into concrete, brick and block. The blue Perma-Seal finish on this Tapper provides long-lasting corrosion protection. Its high-low chiseled threads allow for a steady drive and installation torque reduction. Its various features and state of the art design make this anchor an excellent alternative to expansion anchors, plugs and lag shields. General applications and uses include window installations, interior hand rails, metal door frames, joint flashing, storm shutters, interior lighting fixtures, thresholds, and screened enclosures. 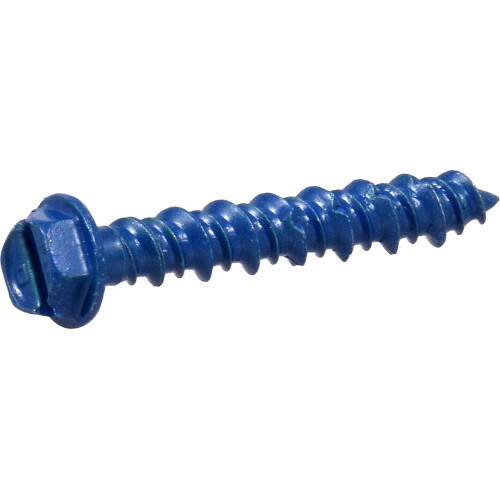 The Slotted Hex Washer-Head Tapper Concrete Screw Anchor is quick to use and easily installed with a matched tolerance drill bit, which is included with C-Paks. 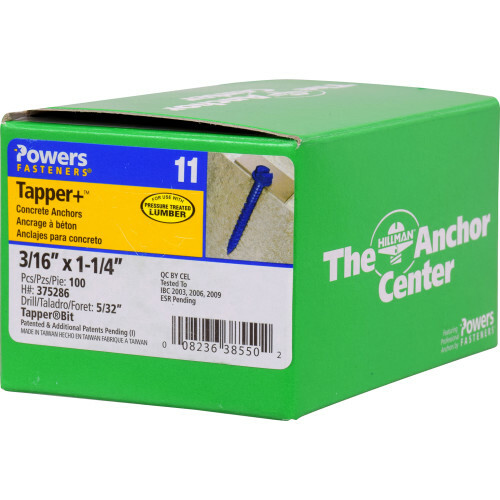 Tapper screws are perfect for interior and exterior projects. Use for light to medium duty applications. Various DOT Approvals. 1-1/4" 1-3/4" 2-1/4" 2-3/4" 3-1/4" 3-3/4" 4"